Harriett Hinkle has rubbed off on me. When I look at hymns for worship, one of the first things I do is notice the date when the words were composed. It’s interesting to correlate the songs we sing and the times in which they were written. For example, many of our songs about Heaven come from the Great Depression era. It’s not hard to see the connection. Many of our favorite songs were written between 1850 and 1950. As we were preparing this Sunday’s song service, we were searching for songs that talk of God’s wisdom, I noticed something in those dates that caught my attention. Very few hymns written in the 1800s or 1900s mentioned the wisdom of God. Generally speaking, only very old songs and very new songs mentioned God’s wisdom. This gap made me wonder—why have we neglected this attribute of God? Hymnals overflow with songs of his love, power, and holiness—but not his wisdom. Why? 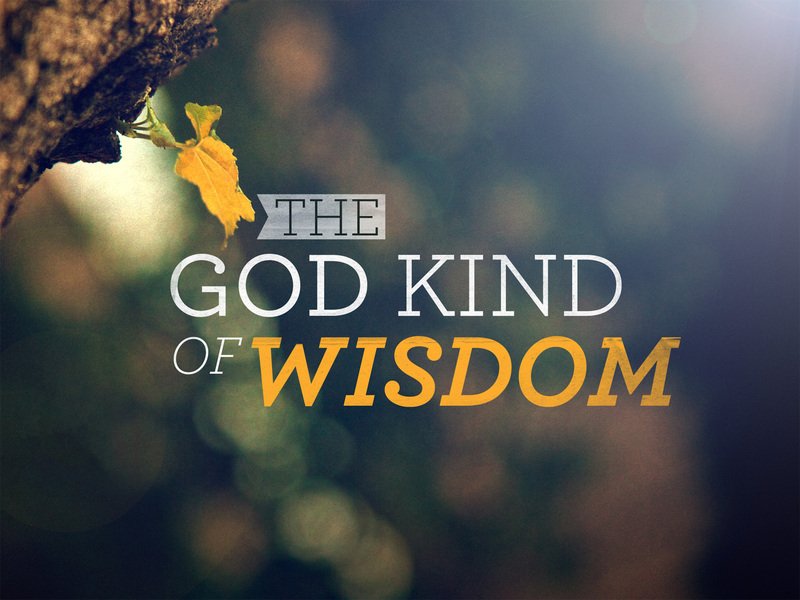 Perhaps in the last two centuries, our technological achievements and scientific breakthroughs led us to believe that our wisdom approached God’s? Maybe we no longer felt as acute a need for his wisdom? It could even be that we have come to neglect wisdom as a virtue at all. Try this paraphrase: “Have you ever come on anything quite like this extravagant generosity of God, this deep, deep wisdom? It’s way over our heads. We’ll never figure it out. Is there anyone around who can explain God? Anyone smart enough to tell him what to do? Anyone who has done him such a huge favor that God has to ask his advice? Everything comes from him; everything happens through him; everything ends up in him. Always glory! Always praise!” (Romans 11:33-36 MSG) Praise God for his wisdom! We prize individuality over community. Nobody likes to be lonely, but we all like to be independent. We think that we don’t need anyone—but their company is nice! We idealize the Lone Ranger—who, if you remember, wasn’t alone. When Judas betrayed Jesus, the disciples replaced him at the first opportunity. Each one mattered. The miracle of Pentecost arrived when they were all together in one place. It would have been no more difficult for God to reveal himself to every individual, wherever he or she was, but instead he moved on the community. Nobody practices “self-baptism.” Every convert was baptized by another convert. They intentionally spent time in each other’s homes and shared with each other. When the Ethiopian was reading scripture, God chose to miraculously direct Philip to help him, rather than miraculously answer his question. God appeared individually to Saul, but he depended on his friends who led him to Damascus, Ananias who taught and baptized him, and Barnabas who vouched for him. I could go on, but I’ll stop here. God has always called a people, not just a person. It’s a real shame that many of us get frustrated with the church or a little bit prideful and decide that we can go at it on our own. Yes, we need to read and study scripture individually and privately. It’s important that we have that faith-building experience, but it is equally important that we read it communally and interactively. Studying with others causes us to see things we miss, corrects for our biases, and holds us accountable when we would be hypocrites. Perhaps that’s why Paul charged Timothy to “devote yourself to the public reading of Scripture” (1 Tim 4:13). If you’re not in a small group study or Sunday School class, you’re missing out—and you’re holding back a blessing from others. Violence struck awfully close to home in the recent weeks. The sanctity of a small church’s prayer meeting was shattered by a racist gunman. 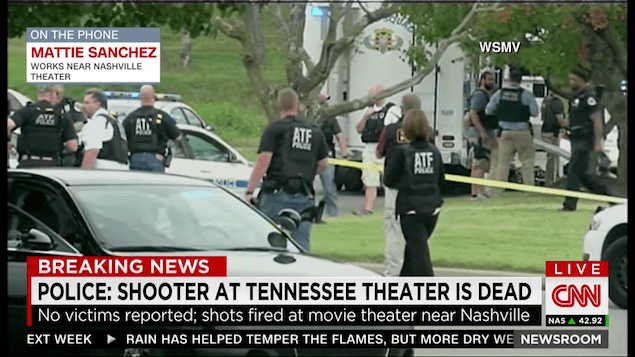 A military recruitment office was terrorized by a radical Muslim in the heart of Tennessee. Twice in the last weeks has a simple trip to the movies ended with death and destruction. How do Christians respond? FIRST: We pray (1 Thessalonians 5:17). We pray for peace (Philippians 4:6-7). We pray for the mentally ill and the misled. We obey Jesus by praying for our enemies, our government, and for boldness even in fear (Matthew 5:43-48). We pray for the police who run into harm’s way while the rest of us run out. We just need to pray. SECOND: We must not be controlled by fear (2 Timothy 1:7, Psalm 34:4). Recent events make us jumpy—and that’s reasonable, but rarely does fear promote good long-term decision-making. Fear motivated Pharaoh and Herod to infanticide, Pontius Pilate and the Pharisees to murder, and Hitler’s Germany to genocide. We may be tempted to stay home; don’t. Society is incredibly safe. Statistics indicate that the rate of violent crime is at the lowest it has ever been in our lifetimes. Don’t let fear control you. THIRD: We must not over-react. We will not bar the doors to the church and shut down the movie theaters. As long as we live in a free society, there will be a miniscule minority of people who use that freedom to cause harm. We ought not to overreact by destroying our freedom. Benjamin Franklin said, “Those who would give up essential liberty to purchase a little temporary safety deserve neither liberty nor safety.” As of 2013, there were 40,024 movie screens in the United States. 99.9975% of them were safe on Wednesday. 100% of them were safe the day before and the day after. This was a tragedy—but don’t forget that it is the exception, not the rule. No amount of metal detectors, guards, dogs, or police can ever guarantee total security. Check out Psalm 20:7. FOURTH: We must look for ways to be peace-makers (Matthew 5:9). These stories are still unfolding, but there is a common theme in most senseless acts of violence: mental illness. The perpetrators generally are people with great brokenness. Christians ought to be leaders in looking out for the marginalized, the broken, and the hurting. We need to spur our society on towards real, merciful solutions for the mentally ill instead of the revolving doors of hospitals and jails. FIFTH: We must keep an eternal perspective. Scripture teaches that each one of us will die. If it isn’t by a human’s act of violence, it might be by the violent acts of cancer cells which strangle the body. Regardless, life is a vapor that is here for a little while and then vanishes away. We, of all people, need to remember the things that matter most and live life in light of eternity. We are grieved that these terrible crimes have been committed. We mourn with those who mourn. We celebrate the men and women whose heroism makes a difference in our lives every day. We look to Jesus as our ultimate hope. The Emperor Menelek II of Ethiopia used an electric chair as his royal throne for many years. How come? During the late 1890s, the Emperor was told of the new method of executing criminals in the United States by electrocution. So he ordered three electric chairs from the States. But there was one tiny problem: he forgot that electricity had not yet been introduced into his country. The chairs were useless. To save his investment, he appropriated the same as his royal chair. 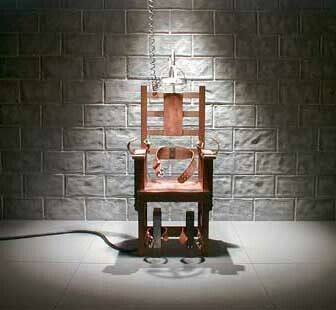 Electricity is a prerequisite to the electric chair. College students know all about prerequisites. You can’t take General Chemistry 2 until you’ve successfully completed General Chemistry 1. A prerequisite is something that must come first. Electricity is prerequisite to the electric chair. There was one time that Jesus talked about prerequisites. In Matthew 7:1-6, he said that some people get really excited about identifying the flaws in the people around them, but there is something that must happen first: “take the log out of your own eye, and then you will see clearly to take the speck out of your brother’s eye.” Peter repeated this message by saying that judgment begins with the household of God (1 Peter 4:17). Sometimes we forget how important it is to take care of our own house before we take care of others. We need to make sure that we take the prerequisites, first!